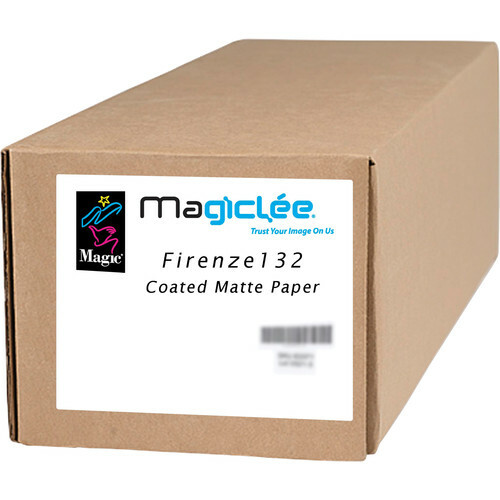 The 36" x 300' roll of Firenze 132 Coated Matte Paper from Magiclée is a mid-weight, coated, matte presentation paper compatible with water-based pigment and dye inks and most ink jet printers. It features high opacity, a bright white appearance and optimal color gamut. Its fast dry times and easy lamination make it ideal for high volume production applications.